I was so looking forward to seeing this as I remembered the first film (which came out in 2008) as such a joyful cinematic experience. But at first I was disappointed. The best songs seem to have been used up in the first film. And then…the exuberance, the actors with their tongues in their cheeks and yes, the music of ABBA all kicked in and I was swept up in this fantasy tale of women coming into their own. It is set one year after the death of Donna (Meryl Streep). Her daughter, Sophie (Amanda Seyfried) is preparing for a grand opening of the renoveated hotel on the Greek island, where her mother was so happy. Sophie is upset at the absence of her fiance Sky (Dominic Cooper), who is remaining in the US to establish his career. She is also sad that only one of her three dads, Sam (Pierce Brosnan) is able to be with her. We are treated to a number of flashbacks to when Donna was young some 30 years before. The young Donna is played by Lily James. She graduates along with her two closest friends, Tanya (the young one played by Jessica KeenanWynn) and Rosie (young is Alexa Davies). They grow up to be the best mates of Meryl Streep’s Donna and become Julie Walters as Rosie and Christine Baranski as Tanya. The main bit is seeing just how and with whom Donna became pregnant. Well, first she meets and beds Harry (Hugh Skinner) who grows up to be the businessman played by Colin Firth. Then comes Bill (Josh Dylan), the Swedish sailor who she meets and beds in Greece – later played by Stellan Skarsgard. Finally she encounters – yes, and goes to bed with – Sam (Jeremy Irvine) who turns into Pierce Brosnan. And the flings happen in very quick succession! Back to the present and Sophie – remember her? The daughter of Donna – ia worried that nobody will turn up to her opening. But soon along come Donna’s three (now adult) pals and they certainly liven things up. Also arriving are the other two dads, Firth and Skarsgard. So all is set for lots of jollity and, of course singing and dancing. There is an amusing cameo from Omid Djalili as a Greek customs official. It is hard to resist the sheer excitement generated by the film. The actors, particularly Walters and Bararanksi are very funny and Lily James shows she can sing and dance. Not always the way with some of the rest of the cast. However, what they lack in musical skills, other actors, such as Hugh Skinner and Colin Firth provide in the comedy stakes. Director and writer, Ol Parker manages to control his large cast and he allows each of them to have their individual moments of glory..The music is very catchy and some of the best songs here are those we have heard before. The film is topped off, as it were, with the appearnce of Cher, who sends herself up as the grandmother of Sophie. 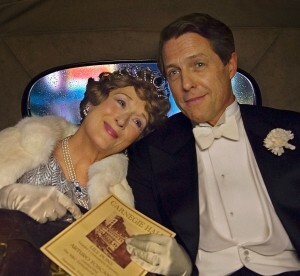 And yes, although Although the Streep character is dead, Meryl does manage to make a brief appearance. Do wait until the very very end for a post-credits funny!